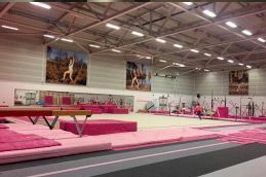 This weekend saw the first major competition of the 2017 British Gymnastics calendar with the British Championships held in Liverpool, starting with podium training on Thursday, junior all around competition Friday, senior all around competition Saturday and apparatus finals on Sunday. The club had two representatives with Mia Scott taking part in the junior competition and Leah Rockett in the senior competition. Mia Scott started off her British Championships on Thursday. Podium training allowed Mia to warm up her routines on the apparatus and gave her a chance to get a feel of the arena setting. Mia had a good warm up giving her the confidence for the all around competition the following day. On Friday Mia started on bars where she had a clean routine, showing off her high difficulty and confidence on this piece. She then moved over the beam where she only had one mistake on her side somersault, which didn't phase her as she finished off the routine with a solid roundoff double twist dismount. She then moved over to the floor where Mia showcased her impressive tumbles alongside her energetic and fun choreography and then finished with a clean piked yurchenko vault. Mia finished the competition in a fantastic 15th place all around and also came in an outstanding 10th place on floor! 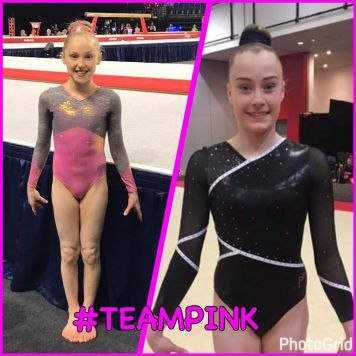 Leah Rockett's all around competition wasn't until the Saturday and after a good podium warm up the previous day, she went into the competition confident and looking forward to her senior debut. Leah started off her competition on the beam where she showed a beautiful routine, only having one error on her side somersault. She then moved over to the floor and performed a confident floor routine sticking her opening double tuck tumble and her final double twist! Leah performed a brilliant straight yurchenko vault and finished off on the bars with only a minor error on her transition but otherwise having a steady routine. Leah finished off her senior competition in a credible 26th place! The girls are looking forward to getting back in the gym and working on their routines for the English Championships in 2 weeks time!